Printers automatically order ink when it runs empty, and Web-connected buttons make sure consumers always have detergent. But the so-called Internet of Things (IoT) remains a distant dream in many cases, with a decade or more to go before smart refrigerators will regularly order milk and other groceries with minimal human supervision, according to experts this week at the All Payments Expo in New Orleans. While the term has been around for 15 years, the technology is just now catching up to the concept of IoT, said Ginger Schmeltzer of GDS Advisors. She was part of the panel on Wednesday afternoon discussing “Why the Internet of Things Really is the Next Big Thing.” And lagging behind the technology are the payments, security and regulations that will make up the infrastructure that will connect appliances, cars and other devices to the Web, enabling them to monitor consumer needs, behavior and maintenance necessities, and then employ that data and machine learning to order products such as milk, parts and whatever else makes households, offices and warehouses run. 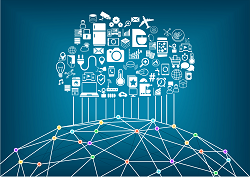 Business-to-business transactions represent the most promising area for IoT purchasing, said James Hutchison, SVP, emerging commerce products at FIS. That’s because the technology will enable more efficient payments for everything from fleet car management to advertising. “The big money is B2B. The behavior will be driven by cost savings,” he said. He and Mike King, founder and CEO of Bankwide, a fintech information service, predicted that prepaid card platforms will be repurposed for use in IoT, which may rely on preloaded payment tokens as transactional fuel. That’s largely because there remains flexibility in prepaid compared to credit and debit card platforms, they said.